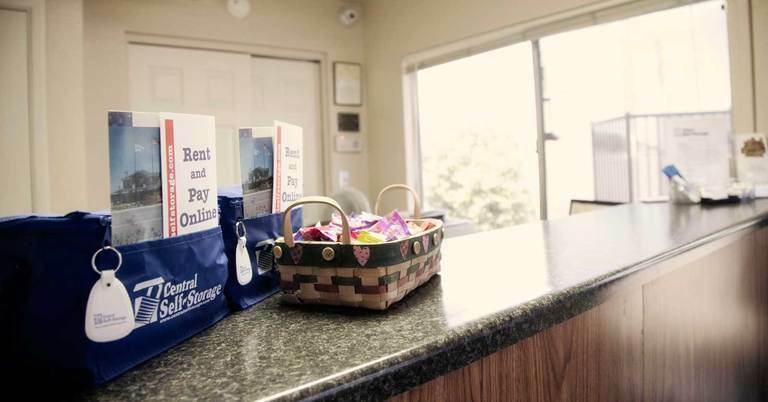 Life in a smaller city can offer big rewards; just ask residents of Tempe, AZ. Economic opportunity and abundant recreational activities help ensure quality of life for those who live and work here. Of course, it doesn’t hurt that the Maricopa County city experiences 300 sunny days per year. 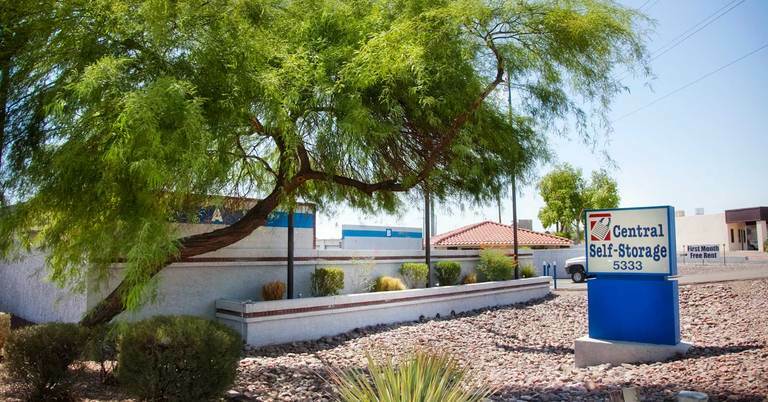 Whether you’re a long-time resident or recent transplant, self storage can help you make the most of life in Tempe. Hayden Butte Preserve and other sites offer trails with incredible views of nature – often near the heart of the city. Our storage units provide the perfect place to stash extra shoes and other gear for hiking or running. Unsurprisingly, sports and physical activity in general are popular here. Many locals spend their off-time at the shooting range, rock-climbing or taking in minor-league baseball and college football games. Storage units allow for safe storage of sporting equipment, holiday decorations, seasonal items and other belongings. The result is less time cleaning around seldom used items and more time for fun. Arizona State University students can also benefit from self storage. Dorms and first-time apartments offer little space for skateboards, off-season clothing and other extras. Storage units allow easy access to these and other comforts from home. 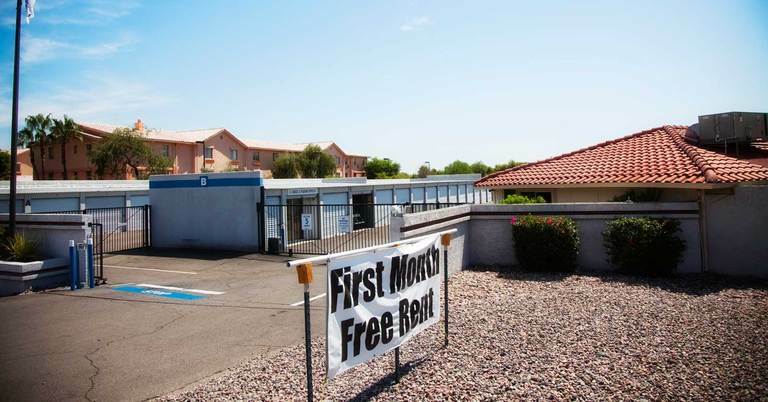 Our facilities provide well-lit, well-secured storage for students, newcomers and Tempe natives alike. Video surveillance and electronic gate access ensure the safety of your household items. Online payment and Internet-only discounts make paying easy. 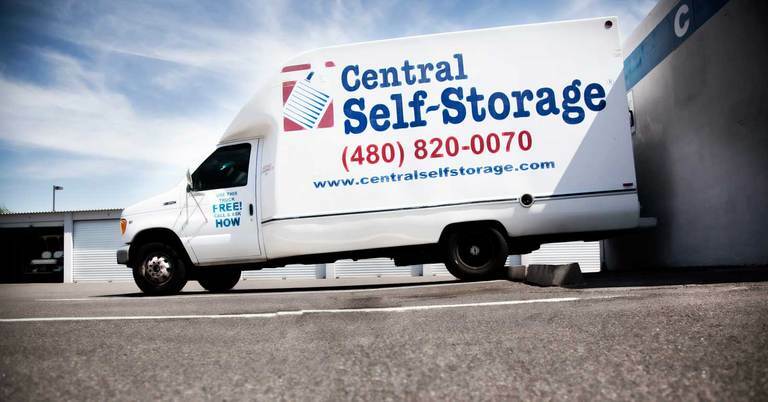 Central Self Storage in Tempe, AZ can help save you space, time and money. Turn right onto Baseline Road East before HWY 60. At the 2nd stop light turn right (south) onto Priest Drive. Proceed 1/4 mile and we are located on the left side of the road between the Marriott Hotel and the Carwash. We have 3 large flag poles in front of the property. Take the Baseline Exit (East) and turn left on Baseline. Proceed towards Priest Drive and turn Right heading south. 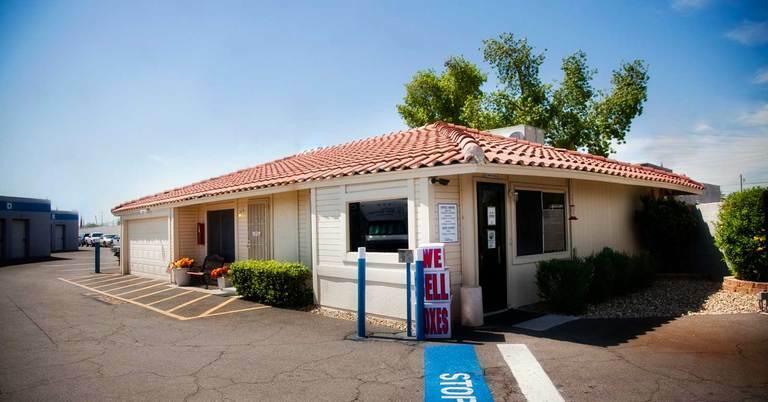 We are located 1/4 mile down on the left side of the road, between the Marriott Hotel and the car wash.
Central Self Storage in Tempe would like to make life easier for our existing customers who store with us! From the comforts of your own home or office you can make a payment or set up a recurring payment, rent another unit, change an address, ask us to accept a delivery for you, or advise us when you may need to leave us. Please click on a link below for which service you need us to provide. You can email the form directly to our manager on-site or mail the form to our Tempe self storage facility.